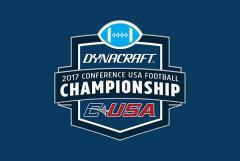 Congratulations to CUSA for having 3 Freshmen football players named to the Football Sports Writers of America Freshman "All-America" Football team for 2017. LA Tech's Amik Robertson (DB), UAB's Spencer Brown (RB) and USM's Racheem Boothe (LB) were all named to the prestigious group after outstanding seasons. 2017 FWAA FRESHMAN ALL-AMERICA TEAM OFFENSE (13) Pos. Player, School Ht. Wt. Hometown QB • Jake Fromm, Georgia 6-2 225 Warner Robins, Ga. RB • Spencer Brown, UAB 6-0 235 Kimberly, Ala. RB • AJ Dillon, Boston College 6-0 240 New London, Conn. RB • Jonathan Taylor, Wisconsin 5-11 214 Salem, N.J. WR • Justin Hall, Ball State 5-9 160 Douglasville, Ga. WR • McLane Mannix, Nevada 5-10 175 Midland, Texas WR JD Spielman, Nebraska 5-9 180 Eden Prairie, Minn. TE • Matt Bushman, BYU 6-5 230 Tucson, Ariz. OT Alaric Jackson, Iowa 6-7 320 Detroit, Mich. OT • Andrew Thomas, Georgia 6-5 320 Lithonia, Ga. G • Navaughn Donaldson, Miami 6-6 350 Miami, Fla. G • Trey Smith, Tennessee 6-6 320 Jackson, Tenn. C Tyler Biadasz, Wisconsin 6-3 316 Amherst, Wis. DEFENSE (13) Pos. Player, School Ht. Wt. Hometown DE Curtis Weaver, Boise State 6-3 252 Long Beach, Calif. DE • Kylan Wilborn, Arizona 6-2 245 Northridge, Calif. DT Ross Blacklock, TCU 6-4 326 Missouri City, Texas DT • Jordon Scott, Oregon 6-1 333 Largo, Fla. LB Racheem Boothe, Southern Miss 6-0 210 Bassfield, Miss. LB Paddy Fisher, Northwestern 6-4 245 Katy, Texas LB • Kenneth Murray, Oklahoma 6-2 242 Missouri City, Texas LB • Colin Schooler, Arizona 6-0 226 Dana Point, Calif. DB • T.J. Carter, Memphis 5-11 180 Nashville, Tenn. DB Chase Lucas, Arizona State 6-0 156 Chandler, Ariz. DB • Amik Robertson, Louisiana Tech 5-9 172 Thibodaux, La. DB • Tariq Thompson, San Diego State 6-0 190 San Diego, Calif. DB Andraez "Greedy" Williams, LSU 6-2 181 Shreveport, La. SPECIALISTS (4) Pos. Player, School Ht. Wt. Hometown P • Pressley Harvin III, Georgia Tech 6-0 240 Alcolu, S.C. K Jace Christmann, Mississippi State 6-0 195 Houston, Texas KR • Marcus Jones, Troy 5-9 170 Enterprise, Ala. PR • Donovan Peoples-Jones, Michigan 6-2 199 Southfield, Mich. HEAD COACH Lincoln Riley, Oklahoma • Denotes true freshman Founded in 1941, the Football Writers Association of America consists of 1,400 men and women who cover college football. The membership includes journalists, broadcasters and publicists, as well as key executives in all the areas that involve the game. The FWAA works to govern areas that include game-day operations, major awards and its annual All-America team. For more information about the FWAA and its award programs, contact Steve Richardson at tiger@fwaa.com. 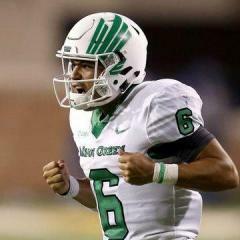 UNT FB MVP of 2017 Season? New Student Package for NO Bowl Announced: $60 Travel/Lodging/Ticket! http://www.espn.com/college-football/game?gameId=400938672 KNTU Radio Link Rice Message Board UNT Game Thread GMG!